The Henry Strater Theatre was standing-room-only at the Durango Adaptive Sports Association’s Harvest Gala at the end of October. Ann Marie Meighan, left, executive director of the Durango Adaptive Sports Association and Noah Blue Elk Hotchkiss, who began working with ASA when he was 11, are excited to sell the first item in the organization’s live auction, a day-long all-mountain tour skiing with him at Purgatory Resort. 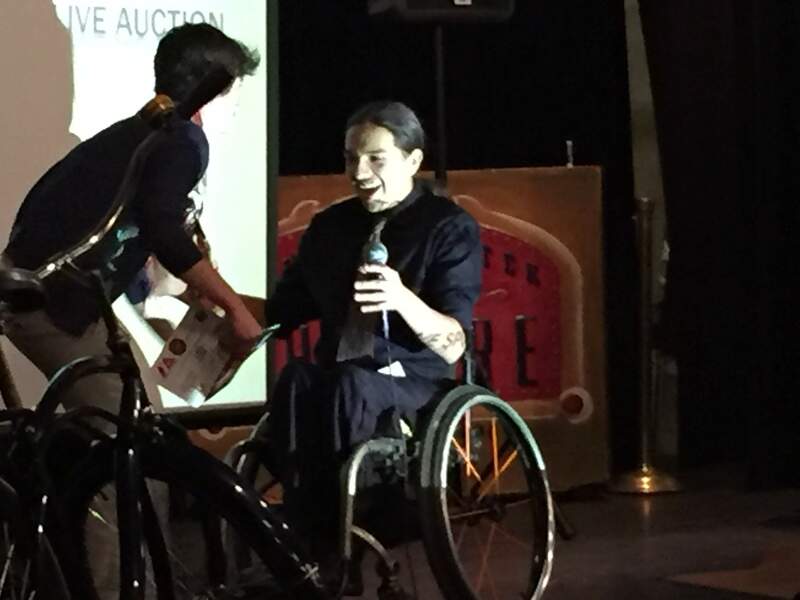 Spirited bidding took place during Durango Adaptive Sports Association’s 16th Annual Harvest Gala at the Henry Strater Theatre in late October. It was standing-room-only at the Durango Adaptive Sports Association’s Harvest Gala in late October. 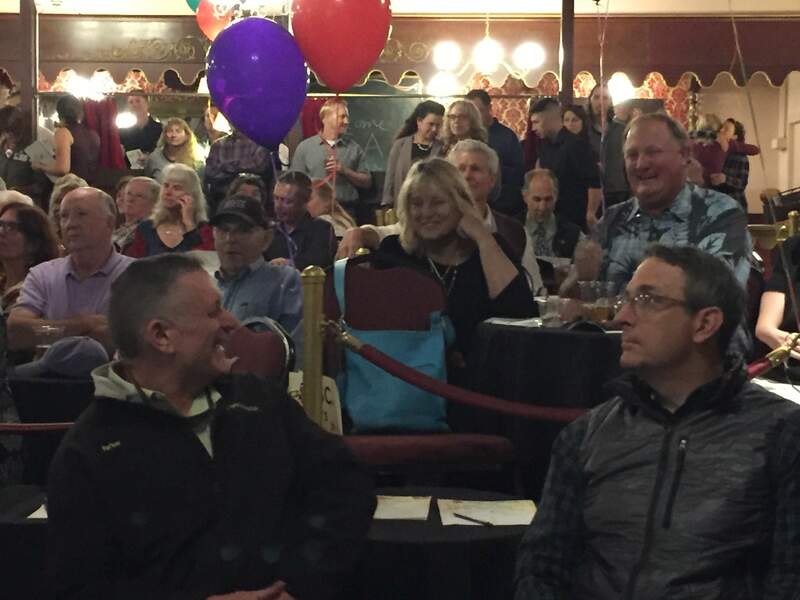 A sold-out crowd of 144 helped the organization raise about $50,000 at the Strater Hotel, where it held silent and live auctions in the Henry Strater Theatre and dinner in the Mahogany Grille and the Oak Room. Noah Blue Elk Hotchkiss, 18, reminded guests why they were there, sharing his story of finding he could still be an athlete even though he had lost the use of his legs in a car crash when he was 11. Ranked as one of the top Under-21 mono-skiers in the world and the founder of a nonprofit that takes wheelchair basketball to Native Americans struggling with disabilities, Hotchkiss has received a full-ride scholarship to play wheelchair basketball at the University of Illinois after he graduates from Animas High School in May. The generosity of the community was on display at both the live and silent auctions. Some businesses were so generous, organizers saved some of the bounty for prizes at the Dave Spencer Ski Classic, ASA’s other big fundraiser of the year, which takes place in the spring. The silent auction offered outdoor recreation gear and adventures, dining options at pretty much every eatery in town, art, amazing packages from both Animas Chocolate Co., and Rocky Mountain Chocolate Factory, baskets full of goodies for pets, pampering and bags of the best of Trader Joe’s products. The second generation of Treasure Auction Storys, Cody and Shannon Story, guided bidders through a live auction that was all about experiences. A full-day of skiing with Hotchkiss – complete with goggles so his companions would not need to eat his dust, he said jokingly. Several lucky bidders will dine well between a progressive dinner at Mutu’s Italian Kitchen, Eolous Bar and Dining and Mahogany Grille; gourmet Chinese by Eddie Cheung; Seana Brandon’s gourmet dinner for eight; a New Orleans feast prepared by Lynne Murison (she gave two dinners for eight after bidding hit $1,100); and a dinner prepared by Adaptive Sports staff – Executive Director Ann Marie Meighan, Program Director Klancy Nixon, Assistant Program Director Wilson White and office manager Kaila Busk. I imagine events coordinator Karen Esser, who also works as a personal chef, will be asked to at least consult. That item proved so popular they sold it three times for $1,100 each. The biggest challenge will be finding a location, as they are quick to admit they’re only good cooks when they’re preparing meals in Dutch ovens over an open fire. Getaways included hitting the slopes at Wolf Creek Ski Area with a stay in Pagosa Springs, a weekend in Telluride, a tour of the Northern Navajo Nation with Toh-Atin Gallery owner Jackson Clark and four tickets to the Broncos/Patriots game and two nights lodging in Denver. The organizing committee works for months on this event, so they deserve a round of applause. Chairwoman Paula Mills wrangled the group that included Bailey Carlson, Blair Ruder, Carolyn Moller, DeeDee Carlson, Hannah Chary, Iris Gardner, Judy Abercrombie, Esser, Kristin Hilliard, Murison, Mary Mummery, MK Gunn, Pat Kolvek, Sachiko Umbhau, Susan Tait, Tracy Bigelow and Valerie Skarbek. 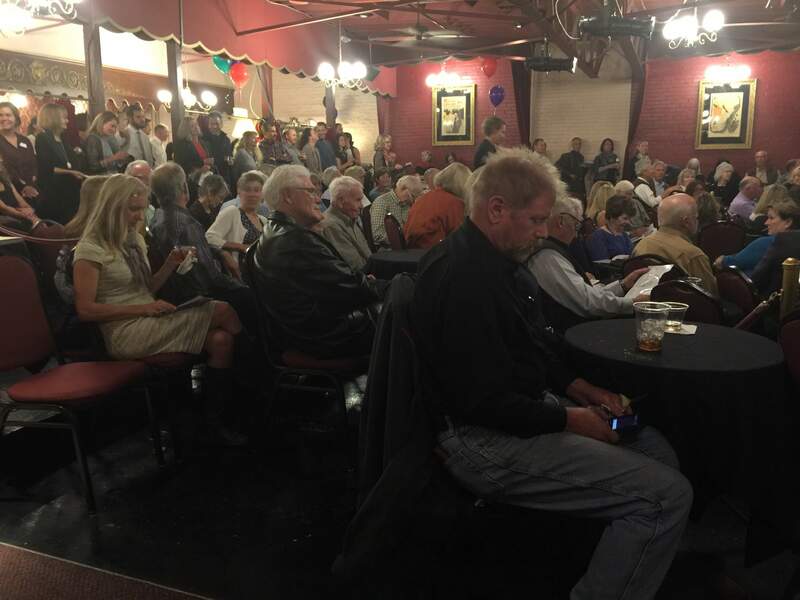 A well-fueled crowd is a lively crowd. The crew at Strater Catering & Events, Joe’s Animas Wine and Spirits, Ska Brewing and Durango Craft Spirits made sure that happened. Durango Motor Co. served as the major event sponsor. Strater Catering served a delicious menu with mixed Greens served with goat cheese, brandied pecans and rosemary-beet vinaigrette; a choice between a ribeye steak with a red-wine demi-glace or pan-seared Skuna Bay salmon with beure blanc and papaya-mango relish, served with dauphinoise potatoes and roasted asparagus with red and yellow peppers. The repast finished with a local Jonathan-apple crostata topped with cinnamon ice cream, caramel sauce and graham cookie. Adaptive Sports just completed a record-breaking summer with more than 400 participants. They work with Wounded Warriors, they work with people who have congenital disabilities, and they work with people like Hotchkiss who become disabled through circumstance. The spirited bidding at the auction, where people came to spend money to support an organization they love, was beautiful to see. I wish we could bottle it for other nonprofits.